A market leader in Lloyd Loom furniture, Vincent Sheppard have been designing and manufacturing outdoor furniture since 1992. 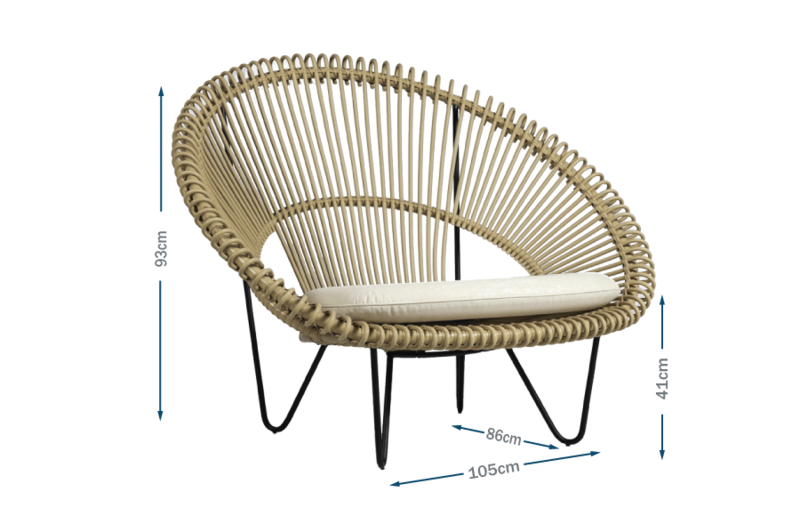 The Roy Cocoon chair blends nostalgic detailing with comfort and practicality. 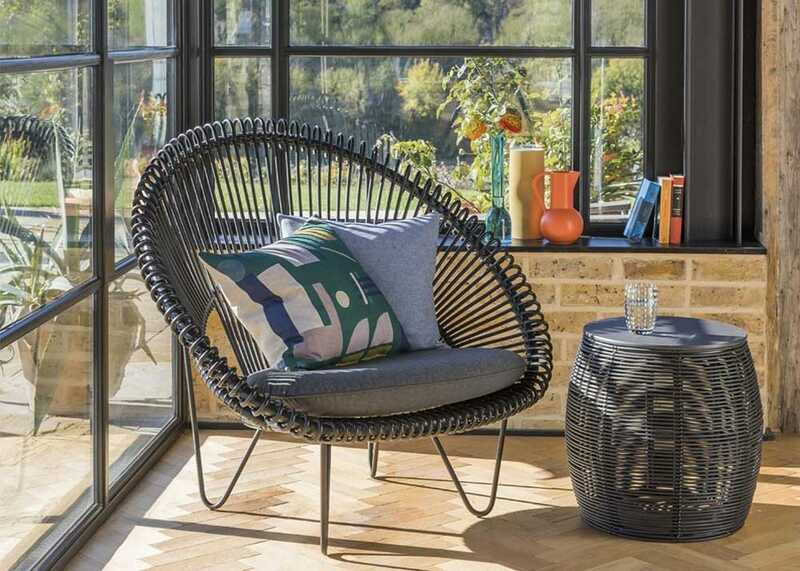 With a series of black, linear loops of resin-coated aluminium, a black steel frame and circular seat cushion, the Roy Cocoon is the perfect addition for garden spaces of any shape or size. The Roy cocoon chair features a padded cushion in contemporary colours for extra comfort.